RAWALPINDI, PAKISTAN – Android users have taken their rivalry with Apple to a remote area of Pakistan… on Google Maps, at least. 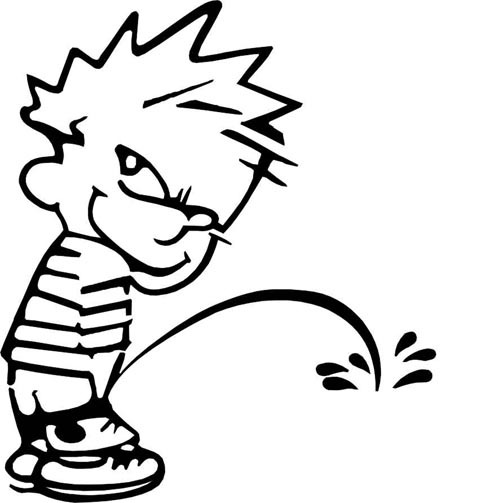 What may just look like a green valley south of Islamabad and Rawalpindi, is actually the Android mascot taking a page out of Calvin‘s book – urinating on the Apple logo. It could also be leaking hydraulic fluid, you know because it’s a robot. It’s not clear how long the image has been there. When you look at “satellite view,” you’ll see a few residential roads, a bit of green space and some hills — nothing that looks remotely like an Android peeing on an apple. It was discovered Friday by Ahmad Babar, a former Samsung employee living in Lahore, Pakistan. On Facebook, Babar posted that he came across the Android image while looking for a place in Rawalpindi. Google said the image was not created by an employee. The company has a group of vetted contributors who add to the Maps tool in order to keep Google Maps up to date, and one of those contributors drew the image. Apple hasn’t commented. Maybe they’re all on a bathroom break.